Last updated 2/23/2010 by David Giblin. Publication: Bull. Torrey Bot. Club. 24: 303. 1897. Notes: FNA19: "Antennaria microphylla is a primary sexual progenitor of the A. rosea polyploid agamic complex (R. J. Bayer 1990b). 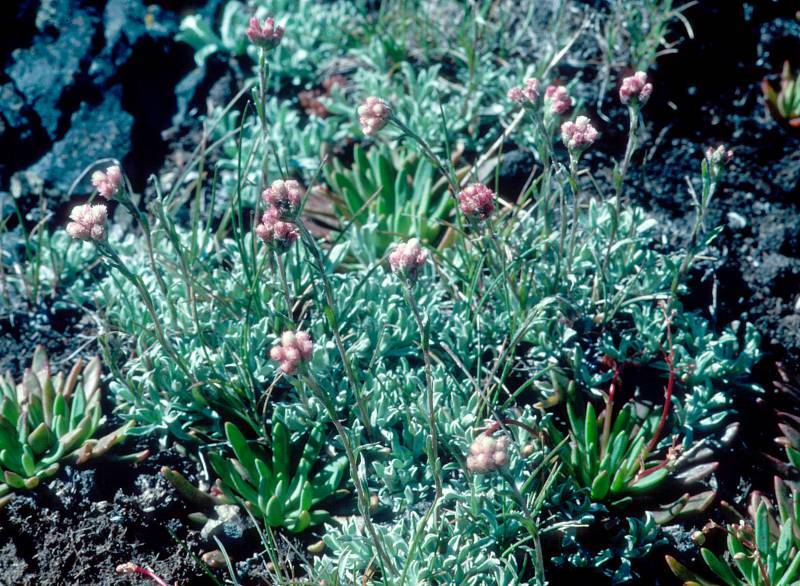 A. Cronquist (1955) included A. rosea within his circumscription of A. microphylla. It is preferable to recognize sexual diploids as distinct from their morphologically discrete hybrid apomictic derivatives. Antennaria microphylla is always dioecious and has stems distally stipitate-glandular and white phyllaries; A. rosea is always gynoecious and has stems without glandular hairs and phyllaries only occasionally white. Some authors (A. E. Porsild 1950; E. H. Moss 1959; Porsild and W. J. Cody 1980) have recognized A. nitida as distinct; comparisons of the nomenclatural types of the two show that they are conspecific. Antennaria microphylla has allelopathic properties (G. D. Manners and D. S. Galitz 1985)." » Bayer, R.J. and G.L. Stebbins. 1987. Chromosome numbers, patterns of distribution, and apomixis in Antennaria (Asteraceae: Inuleae). Sytematic Botany 12: 305-319. » Buckingham et al. 1995 = Buckingham, N. M., E. G. Schreiner, T. N. Kaye, J. E. Burger, and E. L. Tisch. 1995. Flora of the Olympic Peninsula. Northwest Interpretive Association and the Washington Native Plant Society, Seattle, WA. 199 p.